Flat screen TV. 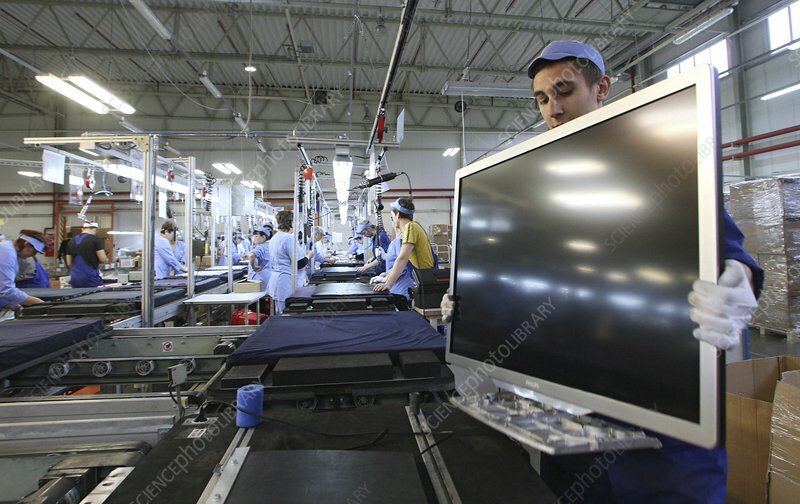 Workers on a production line making flat-screen LCD (liquid crystal display) television monitors. Photographed at the Telebalt factory at Kaliningrad, Russia.